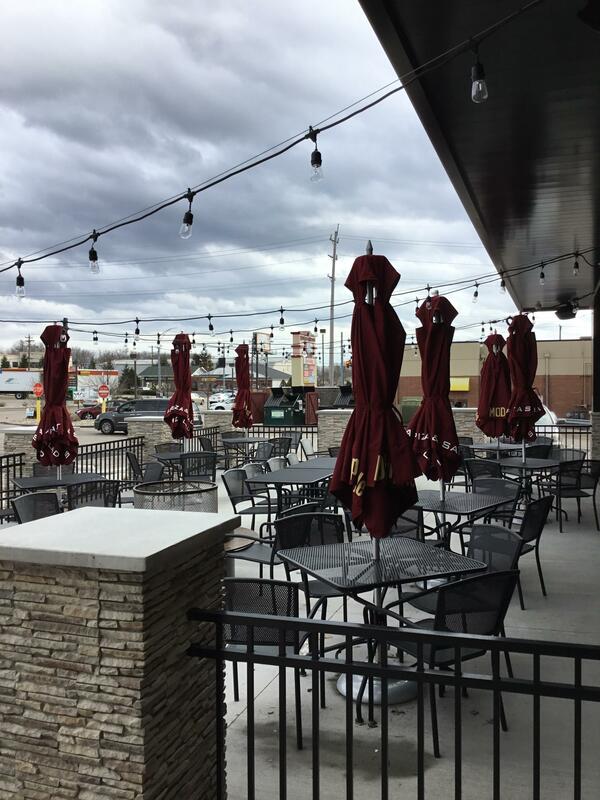 We've shown you plenty of examples of how our Fresh Look philosophy works in our development pipeline, but recently it provided a great view into turning a "loss" into a "gain" in Cincinnati, OH. 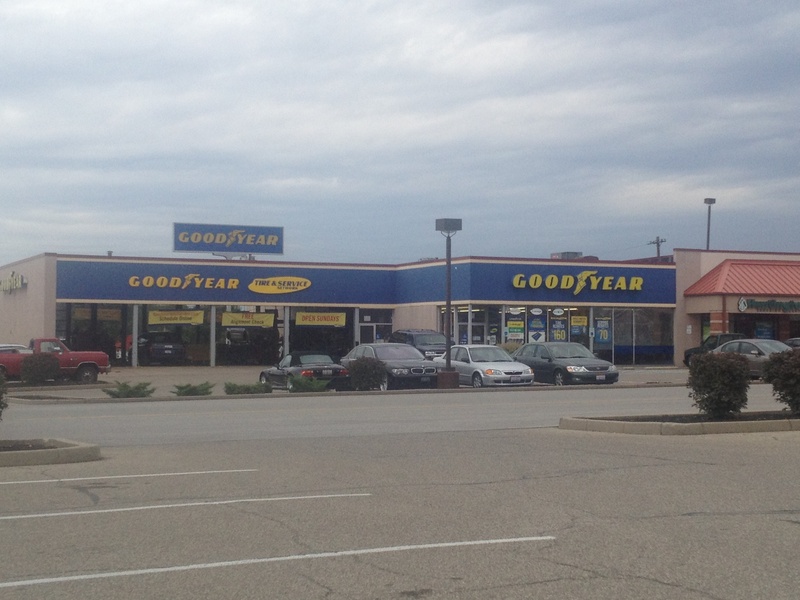 Cherry Grove Plaza is a 195,000 SF center anchored by Kroger, and until recently was home to an 8,000 SF Goodyear. 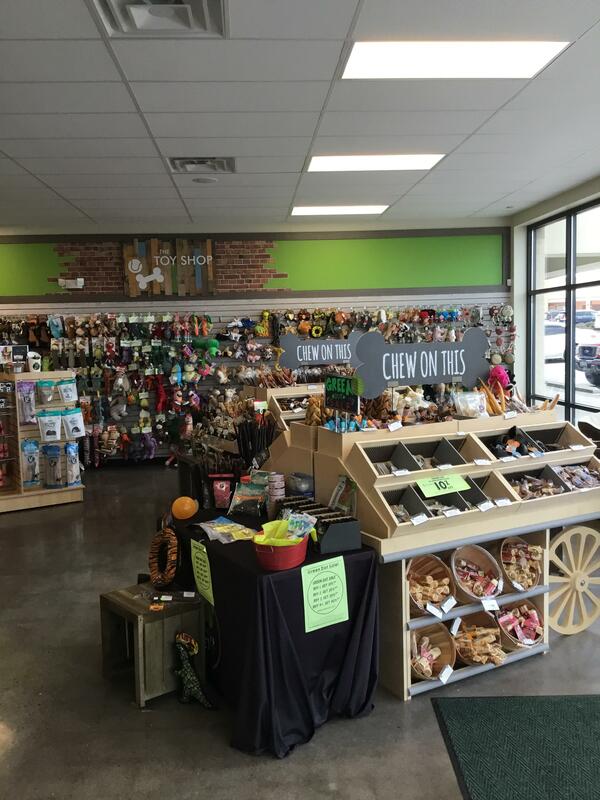 After Goodyear unexpectedly left we saw it as a challenge ripe with opportunity to improve the tenant mix, increase foot traffic, and bring a new storefront to the center. The building was oddly configured with plenty of parking challenges, along with roll-up garage doors and a towering billboard sign over the space. This offered something unique to the market that we knew restaurants would find attractive. 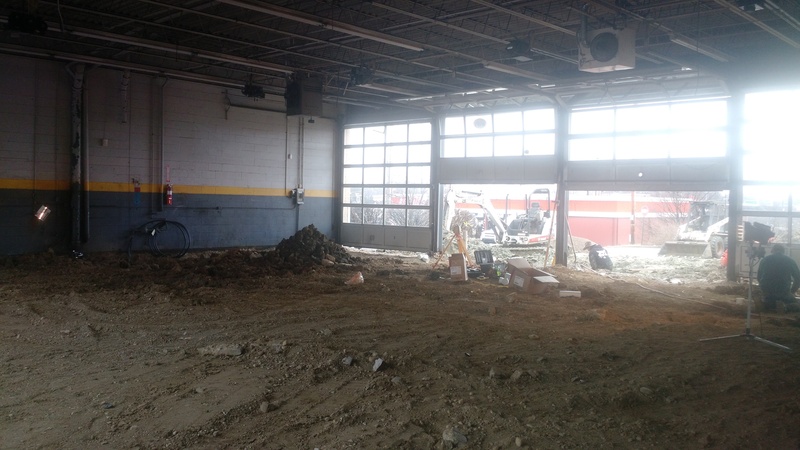 Our vision included filling in the four garage doors at the rear of the building so we could add that addition parking that was lacking, and also installed a large patio with gas-operated fire pits. The final garage door was replaced with a standard storefront. From there, we engaged an architect to put our vision on paper and began our marketing campaign with the assistance of Faith Hershey, Assistant Marketing Manager. 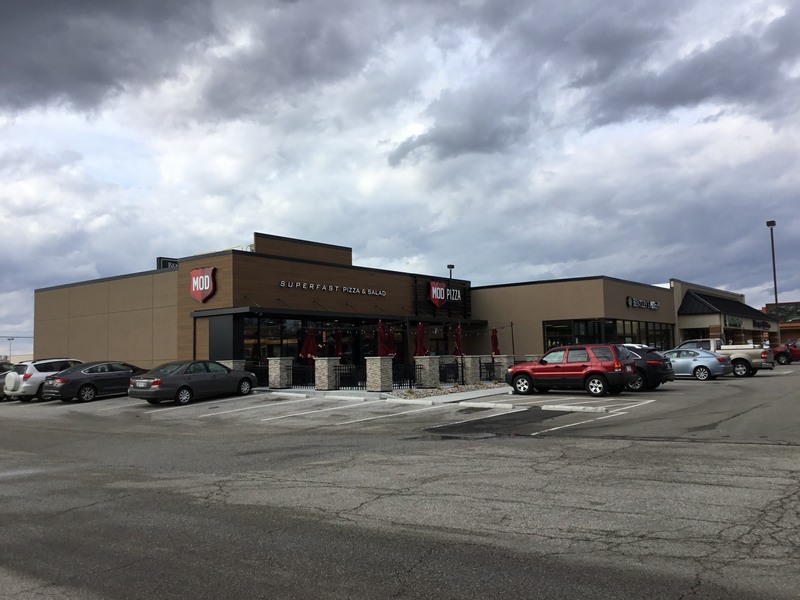 In a short amount of time we had commitments from Bentley's PET Stuff for 4,000 SF of the new space, and MOD Pizza for the remaining area. 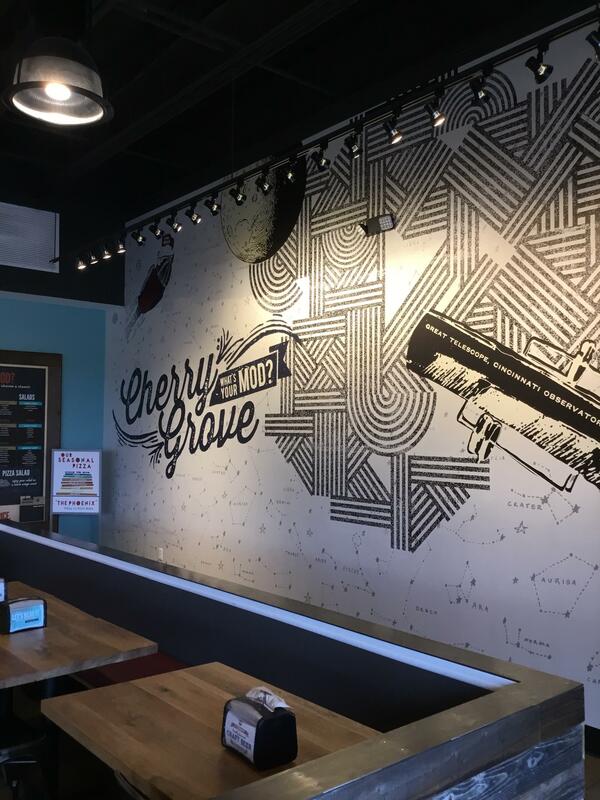 None of this CapEx work could have been done without Dave McNulty and Alice Russell in Financial Services to bring this to life, as well as the hard work and vision of Ryan Ertel, Patrick Krejs, and Tim Daher.